Ever wondered what lies out there in the Solar System beyond our own planet? Like to learn more about Saturn’s magical rings, how to locate mars in the sky or which kind of telescope is best for your needs? 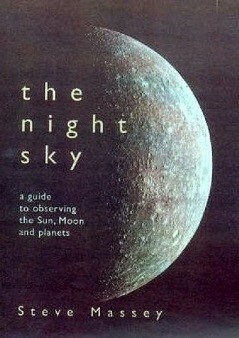 The Night Sky: a guide to observing the Sun, Moon and planets is the essential starting point for your backyard planetary journey. *over 160 stunning photographs and illustrations. For anyone with a keen interest in astronomy, The Night Sky will help you navigate your way through the Solar System and transport you into the realm of the stars.